After the launch today, the BlackBerry Classic is now officially available in Singapore from all telcos and retail outlets. Available in Black for now, and a rumored Blue and Bronze coming soon, the BlackBerry Classic brings back the classical tool belt that we BlackBerry OS users are so used to. Do stay tune for our impression and review of the amazing device! The BlackBerry Classic is now available for SGD$598 as the Suggested Recommended Retail Price, so keep your eyes open and not pay anything more than that! 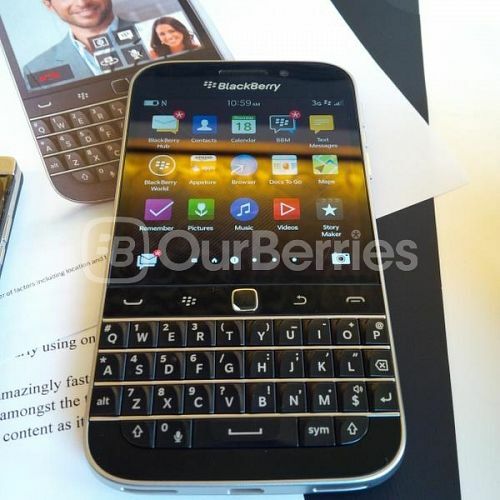 The Classic is BlackBerry’s answer to increased demands for superior productivity, communications and collaboration. The Classic pays tribute to the iconic BlackBerry Bold 9900 with added performance and agility, including 60% more screen space and 50% longer battery life among other improvements. With up to 22 hours of battery life in mixed use (not standby), it may be a pity that it does not come with a removable battery. Also note that there are 2 variants that will incorporate wireless charging technology in it, namely Qi and PMA respectively, though BlackBerry has conveniently left it out in our local model. AT&T will probably be getting the PMA model though. Furthermore, continuing the trend from Passport, the BlackBerry Classic will also be utilizing Slimport as its main display output, which unlike the first 3 models which allowed us to use microHDMI without the need for an additional adaptor.